There are two answers to the question, “Why was Jesus crucified?” One addresses the question on a secular (non-religious) level (why did the Pharisees have Jesus killed)? The other addresses the question on a spiritual level (why did God allow Jesus to be killed)? We must go to God’s Word, the Bible, to answer these questions. First we will answer the question of why the Pharisees and Sadducees (the religious leaders of that time) delivered Jesus up to the Roman authorities to have Him killed. The answer is because Jesus claimed to be the Messiah, the Son of God (Matthew 26:62-65). He spoke with authority that only God has (Matthew 7:29). He healed (Mark 1:34). He forgave sins (Luke 7:48). Demons knew who He was and called Him the “Son of the Most High God” (Mark 5:7). Caiaphas, the high priest at the time, asked Him plainly “Art thou the Christ, the Son of the Blessed?” The Lord Jesus replied “I am” (Mark 14:61-62). This was the statement the religious hypocrites had been waiting for. 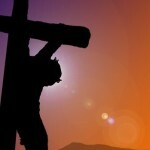 Once He gave a plain answer to a plain question, it was enough to have Him crucified. The Pharisees were very obedient to the law outwardly, but inwardly they didn’t give God their heart (Matthew 7:15). Because of this, they did not recognize Christ as the promised Messiah and rejected Him (which, ironically, fulfilled Prophecy as well – Isaiah 53:3). The answer to this question is because God, in His Mercy, and through His sovereign plan, wanted a people who love Him because they choose to, not because they are forced to. These people bring Him glory in the process. In order for condemned sinners (we are all condemned because of the sin we choose to commit – John 3:18) to be saved, there would need to be a perfect substitute. This is because God is Holy. He is perfect and just. Just as an earthly judge would not be a good judge if He allowed criminals to be set free without receiving the correct punishment for their crimes, our Just God cannot, and will not, allow sinners (criminals to God) to go unpunished without receiving the punishment for their crimes (sins). That punishment is eternal death, away from God, in hell forever (Romans 6:23). Since we’re condemned already (John 3:18) and the wages of sin is death, we’re in big trouble! We will live this life on earth, physically die, then stand before God to be judged (Hebrews 9:27). We are each like a murderer on death row. Our only hope is that God makes a provision for us and allows someone to receive that penalty for us. The only problem with that is all descendants of Adam (the first man) are sinners, so nobody qualifies to take our place! It would have to be God Himself. He is the only one without sin. But God would have to come to earth and be 100% man in order to qualify as well! That’s because the penalty for sin is for mankind. God would have to come to earth as man, 100% man and 100% God, live a life without sin and then die in our place. That would be the only way that our Holy God would be able to remain Holy, while redeeming sinners and that is exactly what God did! Jesus Christ said “I am the way, the truth, and the life: no man cometh unto the Father, but by me (John 14:6). He is the Only Way because God is Holy. Now sinners can be saved! But, the Lord Jesus’ death did not save everyone. He died for everyone, but only those who agree with God that they are condemned sinners, repent of that sin, come to the Lord Jesus for forgiveness, and trust alone in Him, will be saved. This is what “believing in Him” is. This is faith and it is by grace through faith that we are saved (Ephesians 2:8-9). If you do this, and truly trust in Him, not only intellectually, but with all of your heart, you will be born again (John 3:3) and you will know it! So, why was Jesus killed? He was killed by the religious leaders because He claimed to be the Son of God. He put Himself on the same level as God (because He is God). He willingly gave Himself to pay our sin debt, which we could not possibly pay ourselves. It was all part of God’s sovereign plan.